Evolutionary Films is proud to present the UK premiere screening of the classical music feature documentary Written By Mrs Bach: Broken Silence. 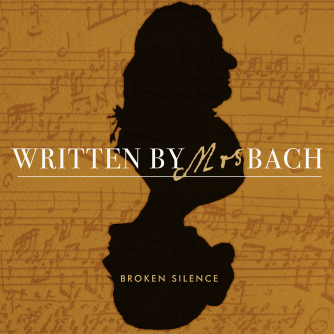 Written By Mrs Bach: Broken Silence is an investigation into whether some of Johann Sebastian Bach's most famous works might actually have been composed by his second wife Anna Magdalena. Accomplished academic, musician and forensic document examiner, Professor Martin Jarvis, comes up against significant resistance from the Bach orthodoxy when he presents his evidence supporting his theory. The evening will feature a live classical performance by world-renowned cellist Attilia Kiyoko Cernitori - currently the conductor of the Viennese Chamber Orchestra Johannesgasse Solisten, as well as a Q&A with many of the film's contributors. The event will be attended by Professor Martin Jarvis, Sally Beamish (Composer and Narrator of Written By Mrs Bach: Broken Silence), Attilia Kiyoko Cernotori, Alex McCall (Director/Producer), and Pamela Kaufman (Exec Producer). Advised Dress Code for the evening will be Black Tie.